Eric Arends, partner at Pondera Consult, is currently partaking in a trade mission to Vietnam, organised by VNO-NCW. The mission lasts from the 7th to the 12th of April. The cities of Hanoi, Danang, Hoi An and Ho Chi Minh City will be visited during the mission. Apart from Pondera Consult, companies from other industries, such as Agriculture, Water and Logistics are also represented. Prime Minister Rutte himself will be present in Vietnam on Tuesday, April 9th. He will speak with Prime Minister Phuc on the strengthening of the mutual relationships and on the possibilities to improve and intensify the mutual trade. Moreover, the collaboration on topics such as water, agriculture, food security and climate change is a conversation topic. Several treaties, contracts and agreements aiming for closer co-operation will be signed with both heads of government present. PM Rutte will also meet the Vietnamese president Nguyen Phu Trong and the chairman of the parliament, Nguyen Thi Kim Ngan. Pondera Consult will function as the offshore wind expert during the trade mission. We wrote about the opportunities for wind energy in Vietnam. 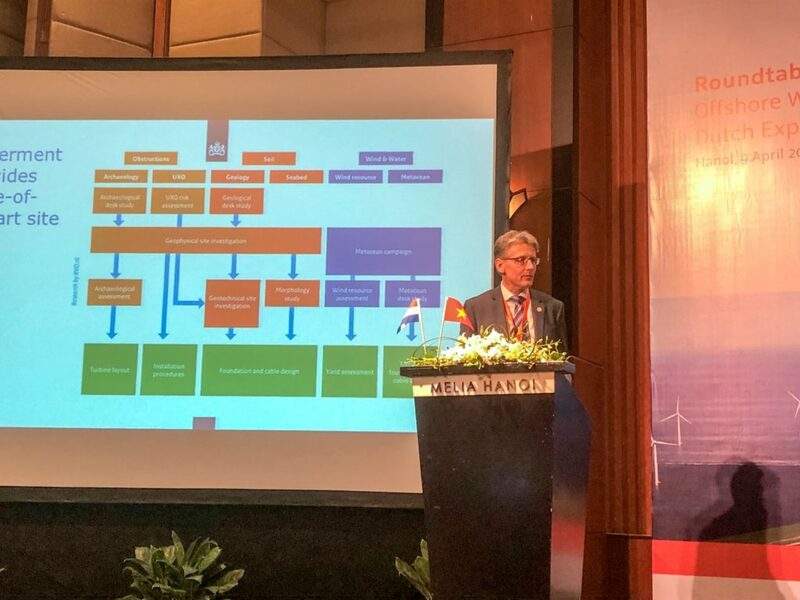 Moreover, Eric Arends attended the offshore wind roundtable in Vietnam in 2018, in preparation for this year’s trade mission. Pondera Consult wishes you a healthy and a sustainable new year!